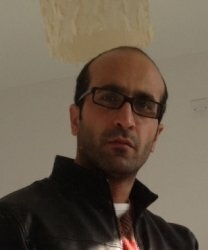 I am a native Arabic teacher with experience of teaching adults of different abilities for whom Arabic is not their native tongue and children in schools in my home country. I am able to teach both Modern Standard and dialect (Syrian, Lebanese, Egyptian and Saudi Arabian). I taught Arabic for 2 years to school children in my home country (ages 13 to 15). I have also taught adults Arabic as a second (or third language) as a private tutor. My approach is very much dependent on the wishes of each individual as to what they want to learn and focus on. I endeavour to speak Arabic for the majority of my lessons, even at beginner level. However I am of course able to explain points in English to clarify and assist the lesson where necessary. Ibrahim is a knowledgeable and flexible teacher. He was able to structure lessons in a way that suited me, for instance providing conversational topics and exercises that catered to my interests in particular aspects of middle eastern history and culture. He is very polite, and communicates well between lessons via email. He was able to accommodate the demands of my job on a weekly basis, moving the lesson times if needed. Thank you very much Lutfi and wishing you all the best! Ibrahim was a fanstastic tutor. I cannot express how pleased I am that I was lucky in enough to find him. I wanted to learn Arabic because I was doing some voluntary work in Athens with refugees. I am a teacher and lecturer myself and I can honestly say that Ibrahim's skills, patience, creativity and knowledge are some of the best I've seen. He not only helped me to learn a very difficult language, the vocabulary and grammatical constructions, but also to have confidence in learning and to enjoy it. I looked forward to our lessons every week. Ibrahim went above and beyond this. At the time I was writing a novel on the experience of refugees and he helped me enormously with this research, as my characters were Arabic he read through my manuscript with me, giving me advice and suggestions, he helped me to understand and appreciate the culture and the people I was writing about, in a way that I would never have been able to do if I hadn't met Ibrahim. My novel has now been bought by major publishers in the U.K, USA, and all around Europe. Thank you Ibrahim!! For your time and compassion, for your patience and understanding and for the belief you had in me all those times I wanted to give up. You are one in a million! Thanks once again for your help. You were very patient and thorough in the investigations you made for me, and took time to explain to me your findings. As you suggested I have contacted the banks concerned, but they tell me there is no possibility of recovering any of the money since I sent it willingly (which is true). I am not going to take the matter any further. You’re most welcome, glad I was able to help and wish you all the best with your future endeavours . On top of that, I realise that he is consistent in his dealings as he provided me free service at the beginning of this year regarding transaction. So I would highly recommend him as he is genuine, very professional and welcoming tutor. He cares and makes sure that his tutees are welcomed and helped enough.